After yesterday's hair accessory craft, I decided to make another accessory. The idea came from this website. 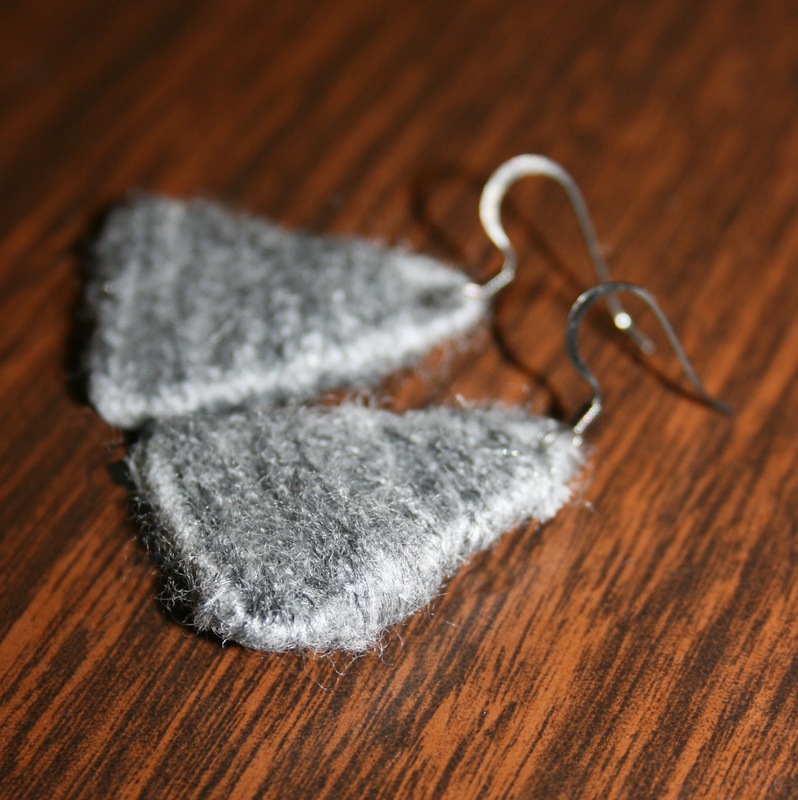 It's brilliant because it simply uses things I have around the house: paperclips and yarn...with a little dab of hot glue and an earring back. I just used leftover grey yarn from my Spring wreath project that I created earlier this month. A girl can't have enough accessories, right?! :) Aren't they pretty? 1. 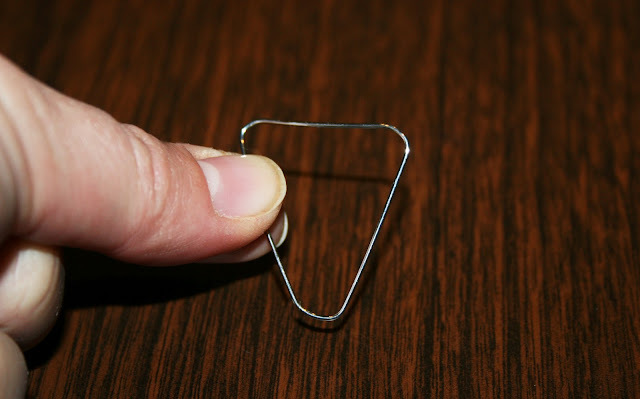 Unbend the paperclip at all three of it's curves, making it into a triangle. 2. Hot glue the two ends together. 3. 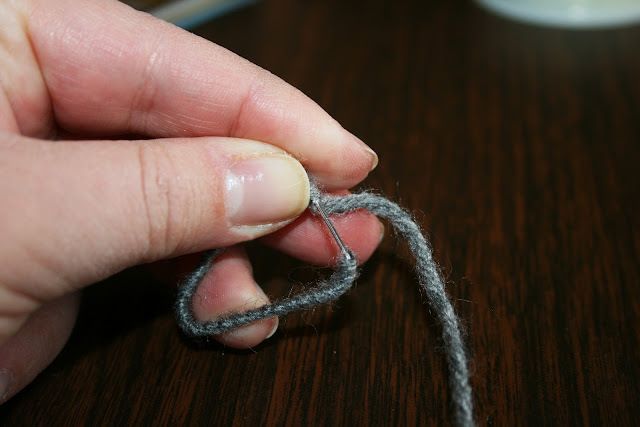 Wrap the yarn around the paperclip edges. You will want to start with a little dab of hot glue to make it stick thoroughly. 4. Once all the metal is covered with yarn, start wrapping from one side to the other, making sure to hot glue the yarn periodically so it doesn't slide off. Hot glue to complete. 5. 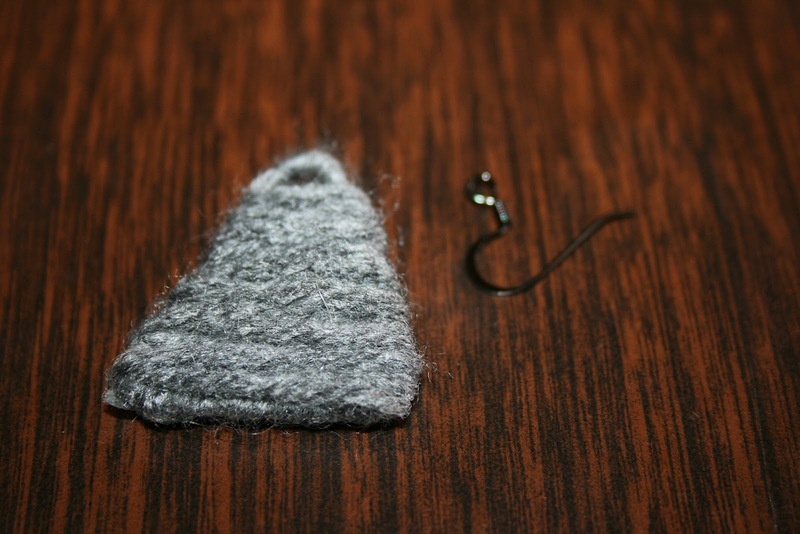 Using jewelry pliers, open the loop of the earring back and slide it over the top of the yarn triangle. 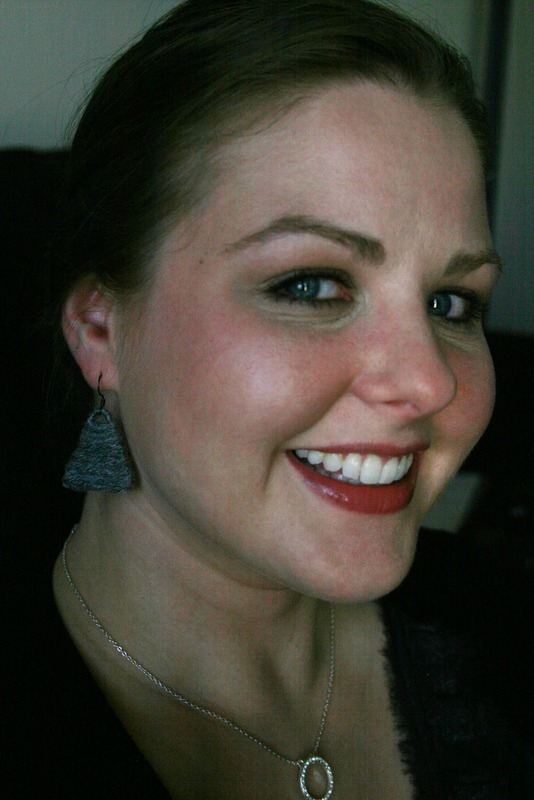 Then close the loop again to have a completed earring.